The Story: Hairy shrimp have always been one of my favourite subjects, due to the variety of colors and types of similar species of shrimps. 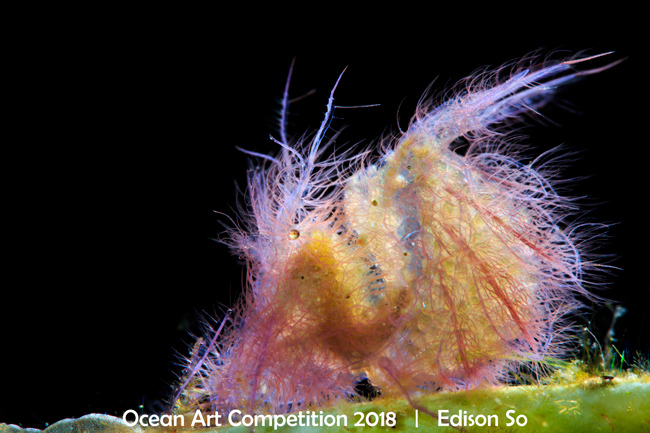 Shooting a hairy shrimp is also a challenging task due to its tiny size and nature. They like to hop from one place to another while photographers try to photograph it. Great patience is needed to wait for the perfect moment to press the shutter, the environment, the background, the composition, and of course, the focus on the subject.